A new Nokia phone will be coming on April 2 according to info which is coming from the far east. 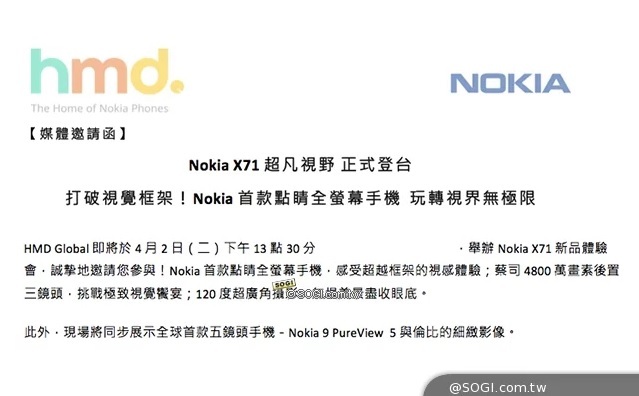 According to GizmoChina, HMD has confirmed to a Taiwanese tech media that new Nokia phone named X71 will be launched in Taiwan alongside the Nokia 9 Pureview. This device will be coming with a 48MP camera and another camera that will feature a 120-degree super wide-angle lens. There is a third camera mentioned by the source, but it is probably the front-facing one. 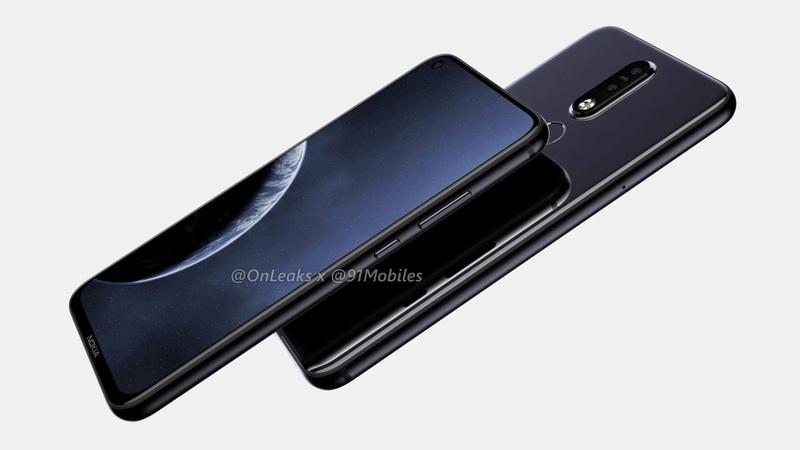 Also, the source mentioned that the phone will be coming with the hole-punch display, which sounds to me that this could be Nokia 6.2 (or Nokia 8.1 Plus?) whose renders we saw before. The other information about the device is scarce. The device will be released for Chinese or at least Taiwanese market for now under the name X71. I am not sure if a dot is missing in the the name or HMD will be pushing a new naming scheme, but X71 does sound like a proper Nokia name, N71 :). Now I understand why HMD postponed the announcement of Nokia 6.2 (or Nokia 8.1) because it would take the focus of the 9 Pureview because of its 48 MP sensor.